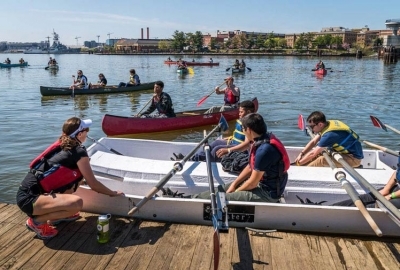 It’s the first weekend of fall, but the weekend is still full of outdoor activities. Although the forecasts calls for temperatures in the lower-70s, it is also calling for scattered showers. As long as you keep dry, it will be an action-packed weekend with the Barracks Row Fall Festival, the Landmark Music Festival, .the Turkish Festival and Art all Night, just to name a few of the events going on. This weekend, Green line trains will operate at regular weekend intervals. Orange, Silver, Blue and Yellow line trains will operate every 24 minutes. The Yellow Line will only operate between Huntington and Mount Vernon Square. Red Line trains will operate every 10-20 minutes between Shady Grove and Glenmont with trains running every 10-12 minutes between Farragut North and Rhode Island Avenue between 9 a.m.-9 p.m.
Five District neighborhoods come alive with music and art performances, art installations and exhibitions, films and more during the annual Art All Night event. 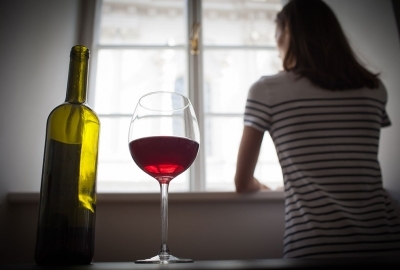 The neighborhoods — Congress Heights, Dupont Circle, H Street NE, North Capitol and Shaw — all sit near Metro stations or other forms of public transportation, making it easy to explore more of the city’s scenes. 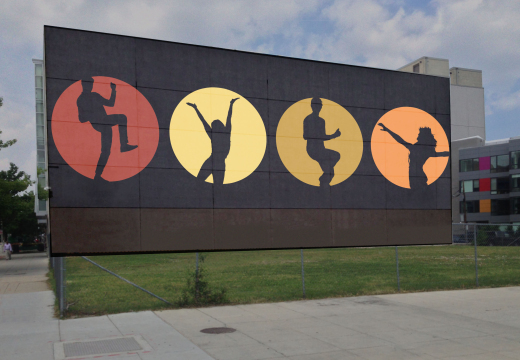 First-timers should consider checking out Dupont Circle or the original Art All Night hub, Shaw, which features Jim Webb’s “Shaw Shadows” installation on Seventh Street NW that projects participants including Step Afrika! on a five-story building. Sept. 26 from 7 p.m.-3 a.m. at more than 65 venues in D.C.’s Congress Heights, Dupont Circle, H Street NE, North Capitol and Shaw neighborhoods. Admission is FREE! 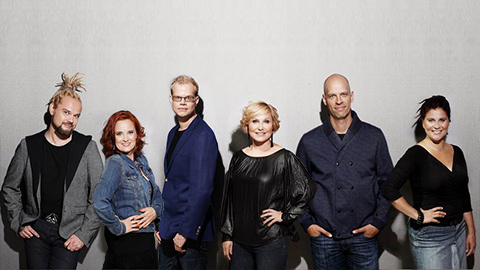 On the heels of 2014’s tribute to ABBA, the a cappella sextet Rajton is teaming up with the National Symphony Orchestra again, this time bringing Beatlemainia with Best of the Beatles. First, you can enjoy the fearless fun of your favorite tunes from Sgt. Pepper’s Lonely Hearts Club Band, including Lucy in the Sky with Diamonds and With a Little Help from My Friends. Then the group teams up with the NSO to perform the Fab Four’s number one hits. Sept. 25 and 26 from 8-10 p.m. at the Kennedy Center, 2700 F St. NW. Tickets are $20-$85 online or at the door. 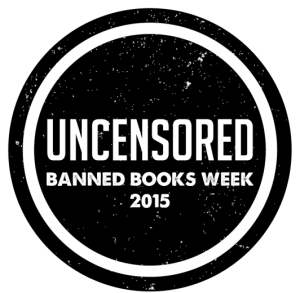 Banned Books Week starts with the D.C. Public Library’s annual fundraiser, Uncensored: Opening Night. The evening includes music from Baby Bry Bry and the Apologists, the Delafield String Band and jazz trombonist Reginald Cyntje; an art exhibition focusing on “abuse of information in the digital age”; a pop-up market; and banned-book-inspired cocktails from the mixologists at such D.C. bars as Mockingbird Hill, Jack Rose Dining Saloon and 2 Birds 1 Stone, among others. The display, “Uncensored: Information Antics” features works by local artists including Nancy Daly, Brian Davis, Eva Hume, Kelly Towels and Fabiola Yurcizin, among others selected by an advisory committee. The art will be on display through Oct. 22. 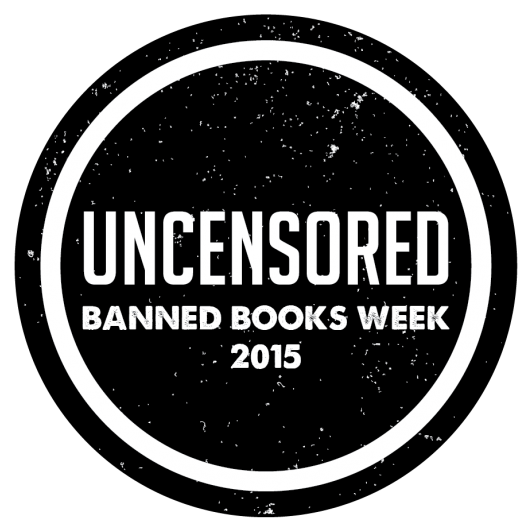 Sept. 25 from 7-10 p.m. at the Martin Luther King Jr. Memorial Library, 901 G St. NW. Tickets are $50. The Barracks Row Fall Festival takes over Eighth Street SE near Eastern Market with a Military Chef’s Cookoff; a beer garden from Matchbox and Belga Cafe; a petting zoo; bands performing at Eighth and G streets SE; and much more, including donkey processions and the Silent Drill Platoon. There will be docent led tours of the Marine Barracks Washington at 12:30, 1:30, 2:30 and 4 p.m. starting at the Eight and I Streets gate. Entertainment includes CMI Kidz hip hop group, Capitol Hill Aikikai martial arts, the Marine Corps Brass Quintet, illusionist and mentalist Max Major, the a capella group Georgetown Chimes and contiueous demonstrations from the Trapeze School D.C. 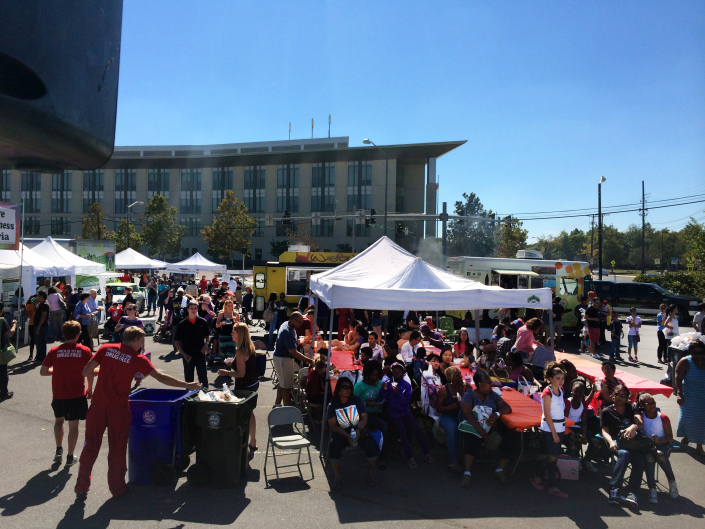 There will also be fashion trucks, food trucks, artists, craftsmen and more. 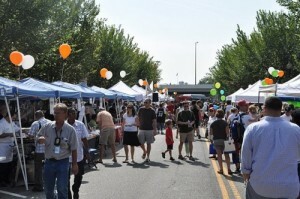 Sept. 26 from 10 a.m.-4:30 p.m. on Barracks Row, Eights Street SE from between E and I Streets SE. Admission is FREE! The 12 annual Crafty Bastards Arts and Crafts Fair returns to Union Market’s parking lot this weekend with more than 170 independent artists. It’s the perfect spot to shop for unique, handmade gifts for someone special or yourself, and you can refuel in the market, at the food truck pavilion featuring Arepa Zone, The Big cheese, BonMi, CapMac, Dangerously Delicious Pies, D.C. Empanadas, D.C. Pollo, Lemongrass Food Truck, Red Hook Lobster Pound and Tapas Truck or enjoy a $5 beer in the New Belgium beer garden. Sept. 26 and 27 from 10 a.m.-5 p.m. at Union Market, 1309 Fifth St. NE. Admission is $5 for one day or $8 for both days online. Children 10 and younger are free. The Smithsonian spoils us. We can visit any number of Washington museums as often as we like and never pay a dime. But a few private institutions charge a fee, which makes the annual Museum Day Live! event such a treat. 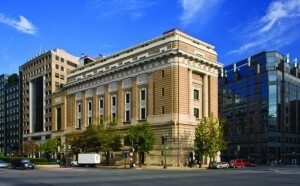 In the District, for instance, a handful of pay museums will waive entrance fees Saturday: the National Museum of Women in the Arts, the National Building Museum, Dumbarton House, the Newseum, the Kreeger, Calvert Marine Museum, Montpelier Mansion and the National Inventors Hall of Fame just to name a few. For a complete list of a participating museums in the DMV and nationwide, click here. Sept. 26 at various times and museums across the nation. Admission is FREE, but pre-registration is required. Each pass is good for two people. 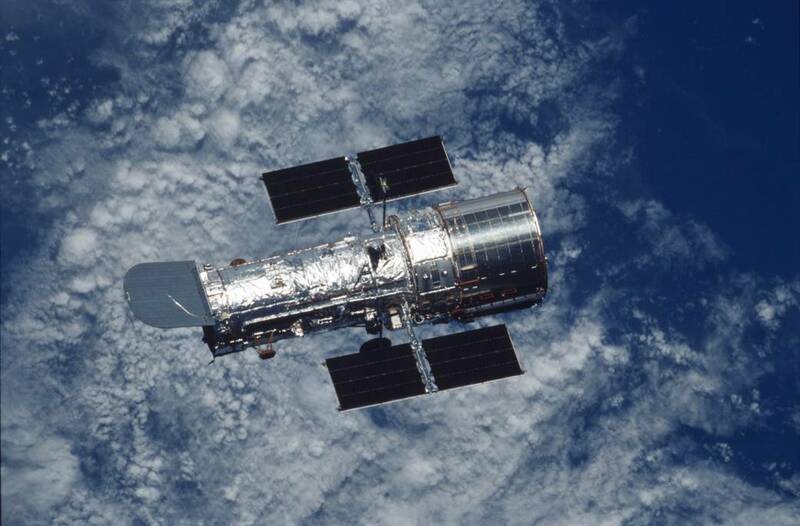 Explore@NASA Goddard: Celebrating Hubble and the Spirit of Exploration celebrates the 25th anniversary of the launch of the Hubble space telescope this year. In addition to the typical events related to the annual festival — films, stories, hands-on learning and entertaining, guided walks and tours — there will be special activities related to Hubble, such as seeing the control center and where NASA is building the next telescope, James Webb. 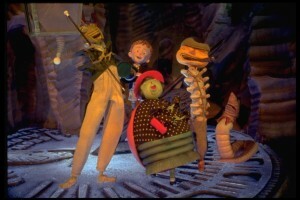 All that and Star Wars characters. Food trucks will be available on Goddard’s mall as well as at Buildings 28 and 32. Sept. 26 from 11 a.m.-5 p.m. at the NASA Goddard Space Flight Center in Greenbelt. Admission is FREE! Visitors must park at the Greenbelt, New Carrollton or Largo metro stations or the Maryland Trade Center, 7500 Greenway Center Dr., Greenbelt, and take free shuttles to Goddard. Shuttles will run every 15 minutes from 10:30 a.m.-3:30 p.m. After 3:30 p.m., the busses will only drop off visits at the sites. All visitors must pass through security and bags will be inspected. Celebrate College Park Day with two stages with live music featuring Supreme Chord a capella group, Eli August & the Abandoned Buildings steampunk band, ReFreshed jazz, hip hop, R&B and soul band and Black Masala rock band, among others. 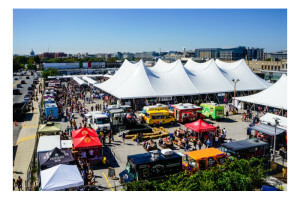 There will also be food trucks, the Orioles and Ravens mascots, free admission to the College Park Aviation Museum, a rock wall and inflatables, a bike ride, Zumba classes, local artists and more than 100 vendors. Sept. 26 from 11 a.m.-3 p.m. at 5000 Paint Branch Parkway across the street from the College Park Metro station. Admission is FREE! At The Landmark Music Festival, more than 40 musicians will perform on five stages over two days benefiting the restoration of the National Mall. The star-studded features performances by Drake, the War on Drugs and D.C.’s own Wale, among others, take to the various stages on Saturday, followed by George Ezra, the Strokes, Alt-J, Chvrches and Dan Deacon on Sunday. 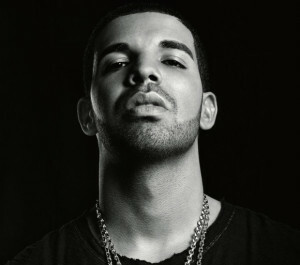 Some of the performances will be live streamed on Yahoo. There will be a food court with food from Amsterdam Falafelshop, Ben’s chili Bowl, Curley Q’s BBQ, Duke’s Grocery, Old Ebbitt Grill, The Hamilton, Oyamel, Pepe, Pete’s New Haven Style Pizza, Proof, Estadio, Doi Moi, Rocklands Barbeque & Grilling co., Shake Shack, The Big Cheese and more. Vendors will accept cash, credit and Landmark Cashless payments. There will also be a Kid’s Land from noon-4:30 p.m. both days where they can get punk hairdos, temporary tattoos and jam out with cool instruments, dress up in historical costumes and learn about the National Parks. Sept. 26 and 27 from noon-10 p.m. in West Potomac Park, West Basin Drive SW. Single-day passes are $105 and two-day passes are $175 online. Children under 10 are free with an adult admission. Gentlemen, start your dachshunds! 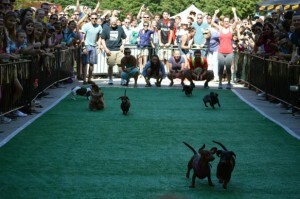 Now in its fourth year, the Wiener 500 Dachshund Dash is back, but at Yards Park this year. 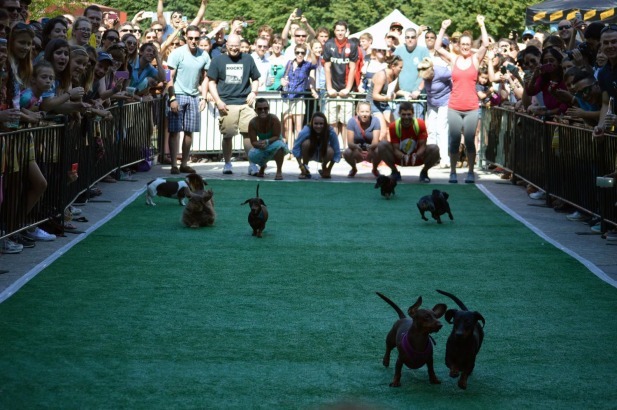 The unique Oktoberfest event revolves around racing wiener dogs, costumed animals and dog tricks. There are also food trucks, music from Sly 45, a beer garden and a contest for the humans — Sam Adams stein hoisting. But the dogs are the star of the show. There will be free best dressed dog and best dog trick contests at 2:30 p.m.
Sept. 26 from 1-5 p.m at Yards Park, 355 Water St. SE. Admission is FREE, but .race registration is $35 per dog online, which benefits the Washington Humane Society. Watch whirling dervishes and a gospel choir perform together at the D.C. Turkish Festival, which culminates Turkish Heritage Month. 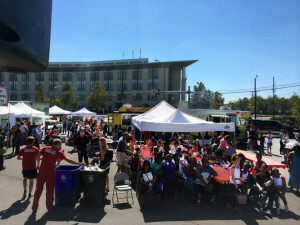 The festival features Turkish food from kabobs to vegetarian dishes to pasties from 16 area restaurants, live music and folk dancing, a Turkish bazaar with 20 vendors, arts and culture, kids’ tent with games and hands-on activities and Turkish coffee and fortune tellers reading fortunes from the coffee grounds. Sept. 27 from 11 a.m.-7 p.m. along Pennsylvania Avenue NW between 12th and 14th Streets. Admission is FREE! Summer is over and this is the last hurrah for this year’s Movies on the Potomac at National Harbor. Pack your chairs, grab food to go from one of the area restaurants and meet at the Plaza’s jumbo screen. This week’s screening is Disney’s James and the Giant Peach. Sept. 27 from 6-8 p.m. at National Harbor’s Plaza, 165 Waterfront St., Oxon Hill, Md. Admission is FREE! 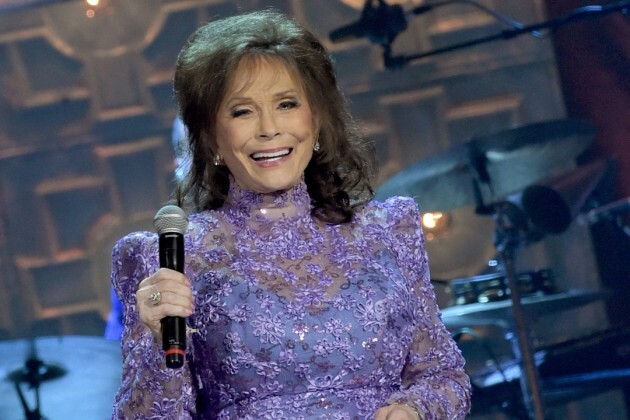 At 83 years old, country music legend Loretta Lynn tours the United States at a leisurely pace. The Coal Miner’s Daughter; the 2003 Kennedy Center honoree, is celebrating the 50th anniversary of her 1960 debut single, I’m a Honky Tonk Girl. Sept. 27 at 8 p.m. at the Lincoln Theatre, 1215 U St. NW. Tickets are $55-$75.